I’m baby-stepping it. I’m gradually working gluten out of my diet. Well, in a matter of speaking anyways. I’ve dropped all obvious sources of gluten. If it is something I can glance at on an ingredient label and know it has gluten, it’s gone. Reading through some books, I know what the major terms to watch for are but I also know that you often have to really dig and call and hunt on the internet when you can’t be 100% sure from the label. For the first few months, I’m just not gonna deal with that. I need to work my way up to that level of thought. I’ve found some gluten-free replacements for foods I love. Now, I haven’t found replacements for everything, but my go-to snacks, well, I’ve got them covered. One such snacky, I’m about to review for you. I don’t know about you, but I can seriously nosh on some pretzel sticks. 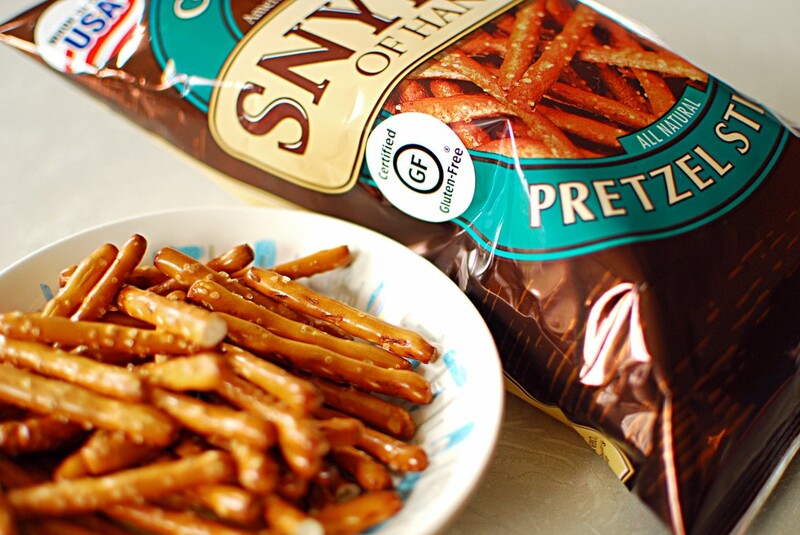 Bad news: pretzels sticks aren’t gluten-free, not even a little. 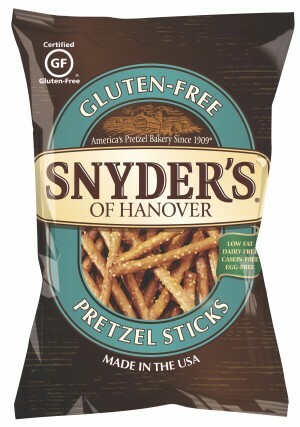 Enter my new good friend, Snyder’s of Hanover Gluten-Free Pretzel Sticks. These bad boys rock! They not only have that delicious crunch you want from a pretzel stick, but they actually taste good. Like, really good. In fact, they may actually be better than the gluten-full type. These buggers are a little thicker and a little bit sweeter than the normal variety. I’m not sure why, but that extra dash of sweetness works – it really works. The icing on this (very delicious gluten-free) cake is that they aren’t that much more expensive than the normal kind – maybe an extra dollar at most at my local Kroger – and that, my friends, is hard to come by in the gf world. So, regardless of whether or not you are gluten-free, maybe you should give these a try!